8709 Dover Dr Leeds, AL. | MLS# 832892 | Avast Realty LLC | 205-951-8992 | Your Ultimate Resource in Real Estate. Let's guide YOU home! BACK ON THE MARKET! Introducing an UNIQUE, Family Home sitting on a Large, Private Lot that adjoins the Little Cahaba River. 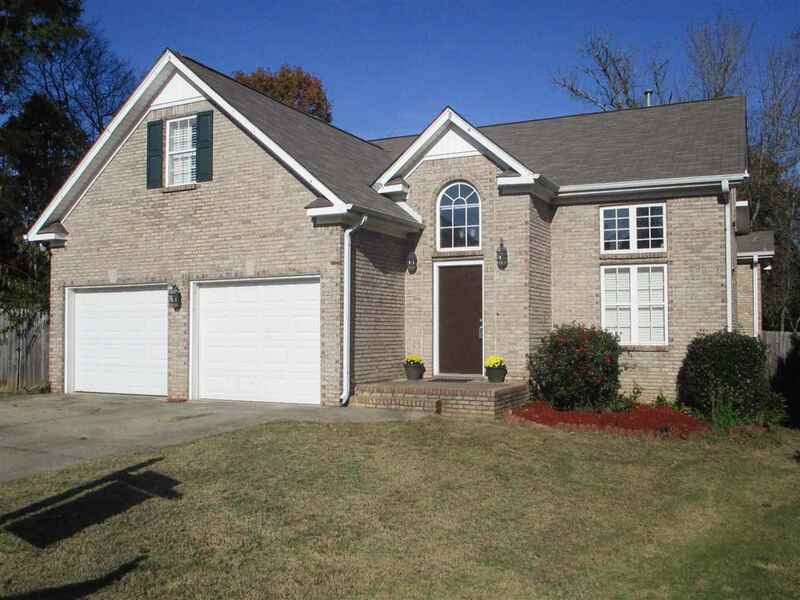 This 4-sided brick, 2,413 sq ft, 4BR, 2.5BA house is a TREMENDOUS Value at $215k! It is located on a cul-de-sac and features a Sunlit Family Room, Formal Dining Room, Spacious Eat-in-Kitchen, Large Laundry Room, and Walk-in Pantry. The Master Bedroom and an Office or Guest Room is also on the main level along with the Powder Room. Upstairs you will find 2 Large Bedrooms with Walk-in Closets and Storage and a Bonus Room with a Closet that&apos;s currently is being used as another Bedroom. New Carpet has been added throughout the house along with Plantation Shutters and new Front & Back Doors. Outside in the Fenced back yard is a 2 year old above-ground Pool, Fruit Trees, Herb Garden, Roses & Vegetable Garden. The Roof is only 3 years old, too. The Home is located in Leeds city limits very close to shopping and restaurants.